DILLARD, Ore. — U.S. Senator Ron Wyden met with officials from Roseburg Forest Products on Tuesday morning, to discuss plans for a new softwood lumber agreement with Canada. …“What is on the line, is the ability to have high-skill, high-wage, good-paying jobs in natural resources,” said Wyden. United States lumber industry officials and U.S. senators say that with the previous U.S.-Canadian Softwood Lumber Agreement, they didn’t get protection for those jobs. But that agreement expired last October, leaving the door wide open for what lumber officials call unfair and subsidized trade from the Canadian lumber industry. OSO — Roughly two months before a civil trial is set to start over whether anyone should be held responsible for the deadly 2014 Oso mudslide, a flurry of legal motions hint at just how bruising is the battle that lies ahead. The pleadings filed in King County Superior Court show stark disagreement among the parties on the theories they plan to offer to explain the disaster’s origins. …Snohomish County, the state and the Grandy Lake Forest Associates timber company all are named as defendants in the case, which is believed to be the largest wrongful death action brought in Washington’s history. Every day, loggers go into the woods of Northwest Montana to supply Weyerhaeuser’s local mills with fresh-cut timber. But that could soon change with the impending shutdown of the lumber and plywood mills in Columbia Falls later this summer. More than a month after Weyerhaeuser announced it was shuttering two mills in Columbia Falls – a move that will result in more than 100 people losing their jobs – other companies that rely on Weyerhaeuser are awaiting an uncertain future. …Another company that relies on Weyerhaeuser is the Mission Mountain Railroad, the short line railroad owned by Watco Companies that runs between Columbia Falls, Kalispell, Eureka and Stryker. Vice President of Marketing and Sales Ted Kadau said Weyerhaeuser is the railroad’s largest customer on its route through the Flathead Valley. Almost like Lazarus rising from the dead, a new St. Elias Ukrainian Catholic Church is emerging on the same footprint in northwest Brampton, Ont. as the first church that was destroyed by fire in 2014. “The fire was heartbreaking. But we made the decision to rebuild almost immediately,” says Pastor Rev. Roman Galadza in explaining how the congregation, whose members come from a wide swath of the Greater Toronto Area, came together to overcome the tragedy. …It was designed by New York-based Zimmerman Workshop, with structural design by Moses Structural Engineers. Santoro Construction Inc. is the general contractor and Markham, Ont.-based Timber Systems Ltd. is the fabricator and supplier of the array of long, deep columns, beams and trusses that have been erected by its subcontractor, Belleville, Ont.-based BHE Enterprises. The phrase “wood walls” should no longer conjure up images of gloomy paneled basements or cabins sheathed in dated, knotty pine. Today’s wood walls are riding high on the decor trend curve. Some pay homage to wood walls’ early or midcentury roots. Wainscoting, that charm-filled wall treatment in old timey colonials and capes, might now be painted a dramatic deep violet, decked out with a lattice motif, or be given an exaggerated scale higher or lower than the standard chair rail. …McCall thinks the appeal lies in wood’s warmth, history, and a comfort and calmness it brings to a space. “The perfect antidote to the chaos of our modern lives,” he says. HIGH POINT, N.C. – The U.S. Environmental Protection Agency has issued its final rule to regulate formaldehyde emissions from composite wood products used as component parts in finished goods sold in the United States. The rule, which added Title VI to the Toxic Substances Control Act, impacts both domestic and imported finished goods. The agency worked with the California Air Resources Board to draft implementation measures that are consistent with California requirements, which were adopted in 2008 and put in place the most stringent emission standards in the world for reducing formaldehyde emissions from composite wood products. The Sunshine State’s top university has teamed up with leading members of industry to establish a new research centre that focuses on the development of innovative methods for creating taller timber buildings. The University of Queensland has established the Centre for Future Timber Structure (CFTS) in conjunction with the Department of Agriculture and Fisheries, as well as Hyne Timber, Lendlease and international engineering consultancy Arup. According to the centre’s director, professor Jose Torero, the new research unit will focus on the development of new timber products and explore methods for using timber to create taller and more sustainable buildings. Pilots have started taking to the air to help the Ministry of Forests, Lands and Natural Resource Operations assess the progress made on combatting an outbreak of the spruce beetle in the Omineca region. Project manager Heather Wiebe said Tuesday an airplane has been deployed this week to check for evidence of the insect and general forest health. Helicopters will then be used to do GPS surveys over the next week or two, followed by on-the-ground surveys to determine where any new attack has occurred. A majority of the data should be in hand by mid-September and analyzed by October. That’s when a summit on the spruce beetle – similar to those held for the mountain pine beetle in the past – will take place in Prince George. French Creek is suffering from 100 years of logging and other human impact, which The Friends of French Creek Conservation Society has been working to counteract. 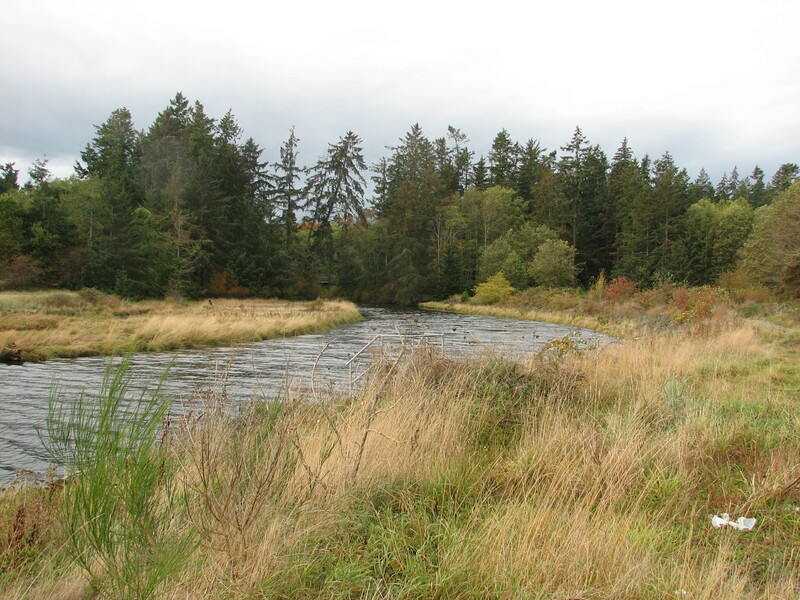 “It’s a very sick creek,” said Robin Robinson, of the group which is being recognized next week by Fisheries and Oceans Canada’s Salmonid Enhancement Program for 10 years of important work. Robin and co-founder husband Sandy explained that one of the main impacts of human activity — including things like ditches efficiently moving the water toward the sea — is to speed up the water. Re: “Some old-growth logging is necessary,” letter, July 29. Bob Matters of the United Steelworkers Wood Council appears oblivious to the fact that 94 per cent of the old-growth forest on Vancouver Island has already been logged. For the union to be advocating for the logging of the remaining six per cent of old-growth forest confirms my long-held understanding that the forest industry and the United Steelworkers’ Union want it all and will only change direction once it is gone. Is the union unable to connect the dots between the substantial numbers of mill closures and of lost forestry jobs with stripping Vancouver Island of its old-growth forests? How does the prayer go? “Dear Lord: Give me patience. “Now would be good.” Well, that’s a useful prayer when dealing with the U.S. Forest Service. We alternate between hope and despair, when it comes to the Four Forest Restoration Initiative. …The Forest Service is on its second 4FRI contractor — Good Earth Power. The first contractor spent two years screwing around and doing nothing before convincing the Forest Service to turn the project over to Good Earth. The new contractor made lots of glittering promises, but the Middle East-based company had never operated on the scale necessary to thin millions of acres. They have understandably struggled to build mills, field a fleet of trucks, hire thinning crews and work out the complicated economics of making money on the small trees causing all the problems. As climate changes and wildfires get larger, hotter and more frequent, how should public lands in the American West be managed to protect endangered creatures that, like the spotted owl, rely on fire-prone old-growth forests? Could periodic forest thinning and prescribed burns intended to prevent dangerous “megafires” help conserve owls in the long run? Or are those benefits outweighed by their short-term harm to owls? The answer depends in part on just how big and bad the fires are, according to a new study. In a report published Aug. 1 that may help quiet a long-simmering dispute about the wisdom of using forest thinning and prescribed burns to reduce the “fuel load” and intensity of subsequent fires, a University of Wisconsin-Madison research group has documented an exodus of owls following the fierce, 99,000-acre King Fire in California in 2014. The Flathead National Forest on Monday announced it is opting for a smaller logging footprint in a salvage timber project slated for the area burned by the 2015 Trail Creek Fire. 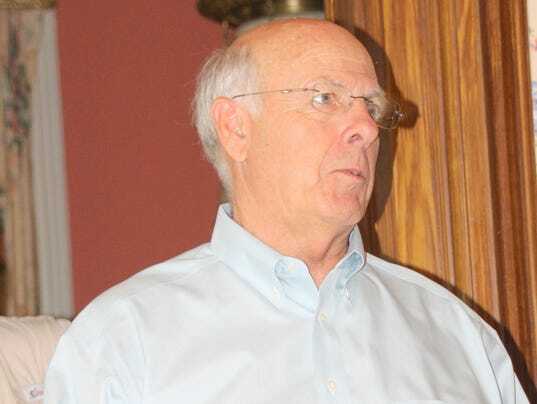 The draft decision, signed by forest Supervisor Chip Weber, would involve commercial timber harvest on 834 acres, less than two-thirds of what the forest had initially proposed as its preferred alternative in June. The project is expected to produce 4.3 million board-feet of timber, about 15 percent of the forest’s average annual yield. …Project manager Matt Shaffer said the alternative the forest ultimately selected arose after the initial scoping period, during which concerns arose about impacts on protected wildlife. After a contentious year of public debate, the Marshall Woods forest thinning project has started showing results. Hikers and bikers along the main Rattlesnake National Recreation Area trail corridor couldn’t miss the dozens of head-high piles of slash around the Spring Gulch trail intersection. Immature tree stands shady enough to support mushrooms have been replaced with sunny vistas punctuated by big Ponderosa pines. “It looks like they’ve done a thoughtful job,” said hiker Kathy McCort on Tuesday morning. In her recent letter to The Bulletin, Sarah Cuddy is correct that public land managers will be challenged over the next 50 years to accommodate Oregon’s growing population. But the call to set aside more federal land as designated wilderness areas will only increase the risk of our public lands being “loved to death.” It will also reduce public lands access and activities for many Oregonians. The U.S. Forest Service can best support the state’s recreation economy by actively managing our national forests to mitigate the effects of climate change, drought and catastrophic wildfire. This can’t be accomplished if certain groups are successful in adding over 525,000 acres of new designated wilderness on national forests in Central and Southern Oregon. It’s important to understand the distinction between national forests and designated wilderness. Across the West, rural counties, school districts and local governments that once depended on natural resources such as timber have been slowly sinking into a sea of red ink. The problem: State and federal land managers have unilaterally changed the rules of how natural resources are managed. The result has been less economic activity such as logging, leading to ever-tighter local budgets. Those local governments and school districts once shared the revenue from timber cut on public lands. Now they receive only a small fraction of what they previously received. Those who defend the change in resource management say those counties and school districts should just pass special tax levies to cover the shortfalls. Such statements reflect their ignorance about the economy of the rural West. If logging is the primary economic activity and it is curtailed, then a tax levy will not cover the shortfall. People collecting unemployment insurance cannot afford higher tax bills. The West, and federal taxpayers, have a serious and growing problem as communities continue to expand in and around forested and grassy landscapes prone to fire. As Headwaters Economics has shown so vividly in fine-grained maps, there is a vast amount of developable land in vulnerable zones that, without changed policies, will greatly increase exposure to hazard, and do so even as climate change boosts odds of fire-friendly conditions. The list of government reports, scientific studies and media accounts warning of terrible trouble has continued to rise. Particularly valuable is “Coexisting with Wildfire,” an article in the current issue of American Scientist by Max A. Moritz, an expert on fire and ecosystem management affiliated with the University of California, Berkeley, and Scott Gabriel Knowles, a historian at Drexel University. Maine is far from the first state to face the creation of a national monument by President Barack Obama’s decree. Obama has written 22 monuments into existence in communities around the country, more than any other president. As he weighs a proposal to turn 87,500 acres east of Baxter State Park into a national monument, Mainers can draw several lessons from the experiences of other states. 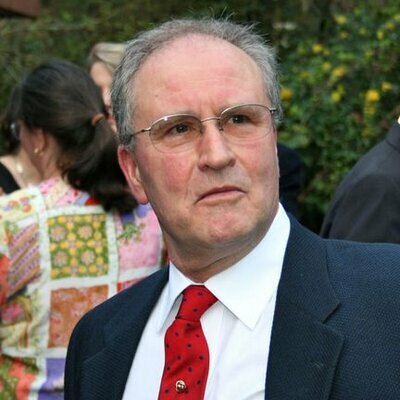 …“Opportunities for public involvement don’t end with the proclamation. It is more like a beginning point,” Catton said. It can take as long as 10 years for a monument management plan to develop once a proclamation is issued. Jack Rajala, a leader in the state’s logging and lumber industries for decades and the godfather of modern efforts to restore Minnesota’s stately white pine forests, died early Tuesday after battling cancer. He was 77. Rajala, the patriarch of an Itasca County family that has managed and milled pine lumber for decades, grew up in Effie and Bigfork. He followed his father, Art, and grandfather, Ivar, in the family wood products business, which was founded in the 1930s. 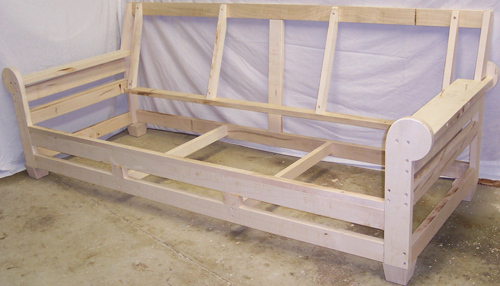 Jack was CEO for Rajala Companies of Deer River, a group of the family’s businesses that produce lumber for furniture, framing homes, etc; veneer used in fine cabinetry, doors and windows; mouldings, and a variety of other wood products. Increasing forestry harvests are expected to provide massive opportunities for the Bay of Plenty region. Wood availability is forecast to increase rapidly leading into the 2020s in New Zealand with most of the increase from small-scale growers who established forests during the 1990s. The supply of pinus radiata logs in the central North Island area, including Bay of Plenty, was expected to be 2 million cubic metres more in 2025 than in 2008, according to the Ministry of Agriculture and Fisheries’ forecasts. 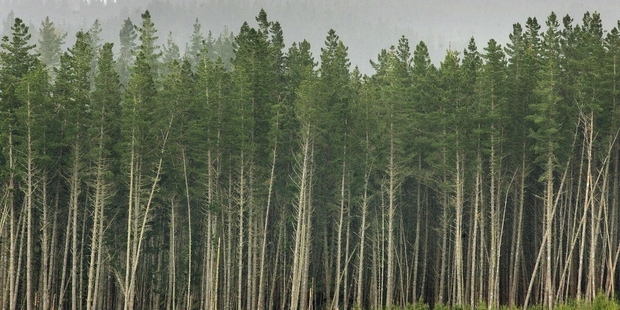 Bay of Connections Forestry strategy head, Bryce Heard, said the central North Island area was New Zealand’s largest forest resource and had competitive advantages including climate, soils and access to geothermal energy. IDAHO CITY, Idaho – More than 1,400 firefighters are battling a blaze in rugged terrain in southwest Idaho that grew to 66 square miles Tuesday and has destroyed a state-operated backcountry yurt. Officials say the timber-fueled fire grew by about 5 square miles and is 28 percent contained with full containment not expected until mid-September. About 35 homes were under pre-evacuation orders, though not immediately threatened. Crews on Tuesday planned to build fire lines and use previous wildfire burn scars to try to prevent the fire from moving farther north, though winds could force firefighters back as has happened in recent days. “It’s a little unpredictable so we have some contingency plans if we have to pull them out of there,” said fire spokesman Dave Chevalier. Despite stiff winds, the Copper King Fire near Thompson Falls only grew by 100 acres on Tuesday. The National Weather Service in Missoula issued a Red Flag Warning for most of western Montana, including Sanders and Lake counties and the extreme southwest corner of Flathead County, until 11 p.m. Fire managers increased the fire danger to “high” on Monday, based on current conditions. Officials predicted increased fire activity on both the Roaring Lion Fire near Hamilton and the Copper King Fire near Thompson Falls. By Tuesday night, the Copper King Fire had scorched nearly 900 acres east of Thompson Falls, near Eddy. The 14,500-acre Fuller Fire near Point Imperial on the North Rim of the Grand Canyon continued to burn over the weekend. The 237 firefighters on the line had it 47 percent contained — even before the monsoon storms hit this weekend. The fire kicked up late last week, but mostly on the interior in rugged, nearly inaccessible terrain. Fire managers expected continued growth to the west, but also count on help from the resumption of wet, monsoon storms throughout the region over the weekend and on into the week. Crews spent the week preparing fuel breaks along roads on the boundaries of the fire — partly in expectation of additional fire starts from monsoon lightning strikes. RICHLAND — A wildfire burning toward the Hanford nuclear reservation scorched about 110 square miles of grassland Monday as it spread from Yakima County into Benton County. The blaze, the largest of several wildfires in Central and Eastern Washington, began Saturday on the U.S. Army’s Yakima Training Center and quickly grew in size over the weekend. But fire lines set overnight and low winds Monday are helping to slow the fire’s progression, said Randall Rishe, a spokesman with the Bureau of Land Management. The cause is being investigated. 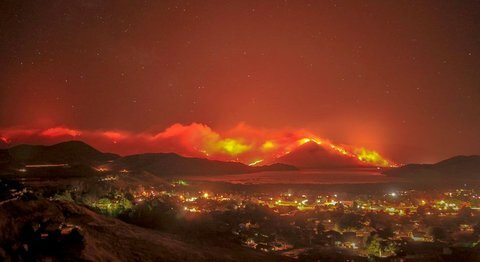 SAN FRANCISCO — A deadly wildfire that continues to spread near California’s scenic Big Sur was started by an illegal camp fire, a fire official said Tuesday. Fire information officer Deborah McClain said investigators determined the blaze started July 22 in a day camping area of Garapata Park where campfires are prohibited. Officials are still trying to determine who started the fire and are asking for information from campers who were in the area before the massive blaze charred more than 69 square miles and destroyed 57 homes, McClain said. “They have determined the place of origin and the cause and they are still trying to find who and why,” she said. “They don’t know if it was intentionally set or not, that part is still ongoing.” A bulldozer operator working the fire lines was killed last week in a rollover accident in steep, forested ridges. Greek authorities say a large wildfire that tore through the island of Evia for four days is abating and not threatening inhabited areas. But the fire brigade said Tuesday that one of the blaze’s three main fronts is still burning strong, although winds that fanned the flames for days have dropped. About 250 firemen and soldiers are fighting the blaze, assisted by two water-dropping helicopters and four planes. More than 6,000 acres (3,000 hectares) of pine forest in northern Evia have been destroyed so far, as well as a small hotel that had been safely evacuated and at least three more buildings. A state of emergency was declared in the area Tuesday. Nelson Hydro will hold an open house in the early fall to update the public on the progress of its plans to heat selected public buildings in Nelson using heat created by burning lumber mill waste. Fiona Galbraith, a local consultant for Nelson Hydro, says the project at full capacity would use only 15 per cent of the available wood waste in an area within 80 km of Nelson. She said the biomass boiler would not be recognizable as an industrial building and would take up an area about the size of the tennis courts at LakesidePark. She said it would produce minimal emissions because of advanced combustion technology and there would be a maximum of two delivery trucks per day in the coldest part of the year. A Taranaki political leader is urging the region’s landowners and investors to grab the opportunity created by rising carbon prices. Neil Walker says selling accumulated carbon could not only be a boost for Taranaki back country farmers but could also help dairy farmers seeking a bridge between the sustained downturn in farmgate milk prices and the projected upswing. “People with carbon hidden away could make money that will provide a bridge to better times,” he said. …He’s just received more than $110,000 for more than 6000 carbon units grown in forest blocks he planted in South Taranaki. “I registered with the carbon exchange, sold my units and the money was in the bank four days later,” he said. By 2019 he will have for sale 4500 carbon units a year.